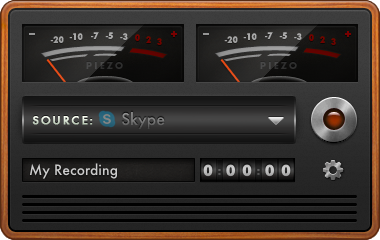 The most elegant way to record a call in Skype. This utility is designed exclusively to record calls in Skype and that is why it is as simple as one could imagine. All you need is to run it and press the button to start recording. If there are no active calls in Skype at that moment, Call Recorder for Skype will simply wait until you start one. Once your call is over you can listen to the recorded file or export it. Call Recorder for Skype can start automatically with OS. 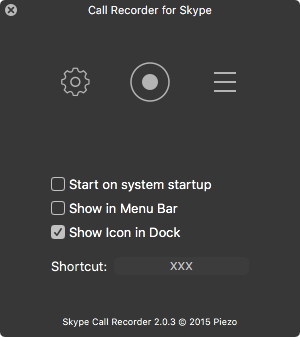 Also, you can set up icon display in Dock and menu. The developer of this software kindly provided us with 5 promo codes for Call Recorder for Skype and I will give them away to 5 people who will be the first to leave comments. This freeware was created to capture audio from any software on Mac. 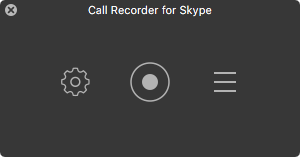 And if you select Skype from the list of applications you will be able to record your calls. But if you run it for the first time you will have to relaunch your Skype. 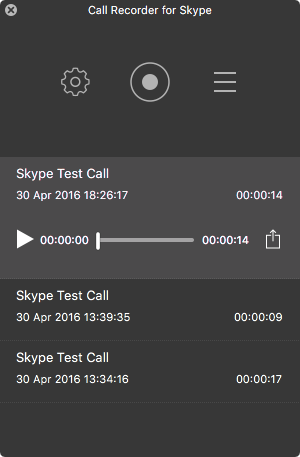 I tried to record a test call and the result – audio with echo, just like in fantasy movies. 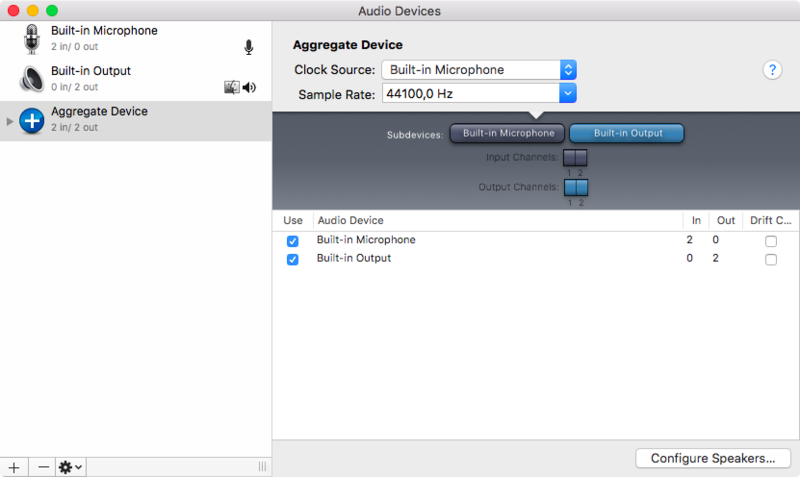 Built-in OS X audio and video player can record your Mac screen and audio from your mic. 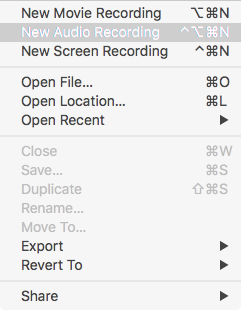 To record a call you need to make a call first and then launch QuickTime Player and in File menu select “New Screen Recording” or “New Audio Recording”. 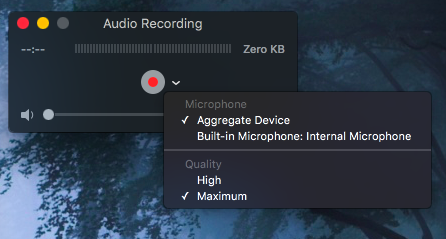 But it has one unpleasant thing: QuickTime Player will record audio from mic meaning that the voice of the person you are talking to will be more silent. It can be corrected by adding the so called aggregate to the system. For that open Audio-MIDI Settings in utilities, add new aggregate device and then check both built-in microphone and built-in output. Then during the audio recording session you will have to select that particular aggregate device. System sound will be anyway more silent in recording than the one recorded from your mic. This method is not the most convenient but there’s still a chance that someone would like it.